If Mr. Hulot’s Holiday was a refreshing comedy and Mon Oncle a lovely concoction of comedy and mild satire, Playtime, the third film in Tati’s brilliant Monsieur Hulot series, was a raging satire of the highest order – a cringing body blow against incessant automation and ultra-modernization. Unlike in the previous two films, the Paris we all know of is completely invisible here; instead what we have is a gray, wan, drab and utterly impersonal urban jungle of glass, steel and gadgets, and a never-ending stream of automobiles. 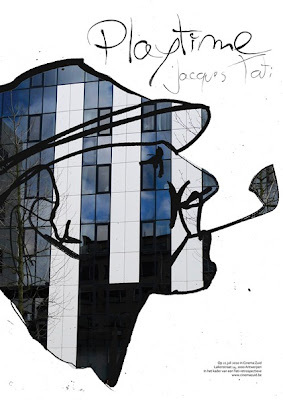 And in this immensely dreary post-modern world, Hulot seems to be comically and anachronistically out of place – a nostalgic symbol of a lost era. 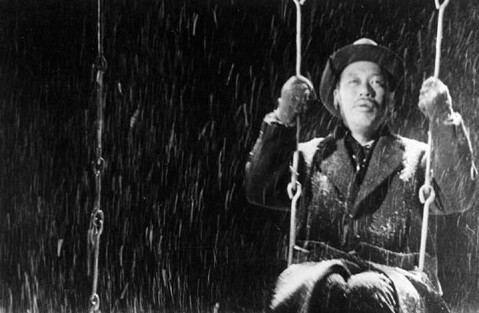 The film is filled with some terrific gags and set-pieces, with the runaway winners being an elaborate, carnivalesque sequence at an upscale, recently refurbished restaurant, and one of the most unforgettable traffic jams ever recorded on screen. Its greatest achievement is that, despite being filled with blistering satire and sulphureous ironies, the message is never in-your-face, as they have been beautifully masqueraded through amazing wit and humour. 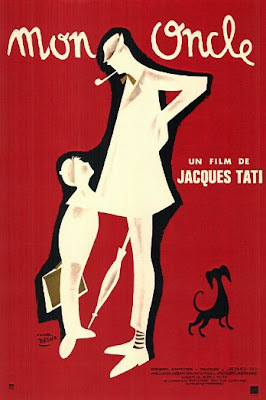 Sadly for us cinephiles, because of its ambitious scale and radical scope, this movie nearly destroyed Tati’s career as a filmmaker par excellence. 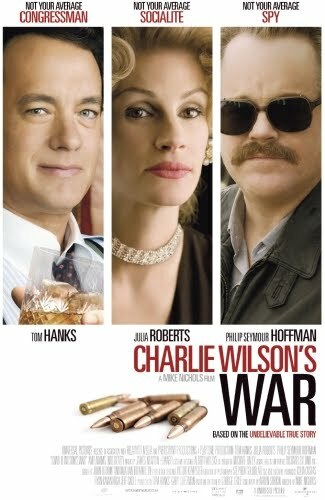 While a lot of movies are being made these days which have their basis on Islamic terrorism, Charlie Wilson’s War concentrated on what gave rise to this global phenomenon. And unlike most movies tackling subjects “based on actual events”, this wickedly funny Mike Nichols movie, adapted from a bestselling novel of the same name, has been imbued with dark humour, sarcasm, political incorrectness, lightness of tone and an overall freewheeling quality, without ever losing sight of its biting political commentary. The film traces how the eponymous Charlie Wilson (Tom Hanks), a womanizing and hard-drinking Texan congressman, propelled by the persuasiveness of a wealthy, rabid Houston socialite (Julia Roberts), and with more than a little help from a CIA loose cannon (Phillip Seymour Hoffman), helps Afghan freedom fighters in doing a Vietnam by defeating the mighty Soviet army, which inadvertently ends up providing the springboard for the catastrophic rise of the Talibans. Tom Hanks, cast against his type, is good as the sexist and powerful politician who loves his booze and his babes (look out for a sprightly turn by Amy Adams as his pretty secretary), while Hoffman is brilliant as always as a gruff, moody, cynical and utterly non-conformist Company veteran. The Purple Rose of Cairo must have been close to Woody Allen on account of it being a lovely homage to the joy of watching cinema. Cecelia (played memorably by Mia Farrow) is leading a drab existence, what with trying to survive in Depression Era America, losing her job, and being married to a brutish husband – all compounded by the fact that she’s a meek and docile person. So, in order to escape from her dreary life, she spends hours in movie theatres. 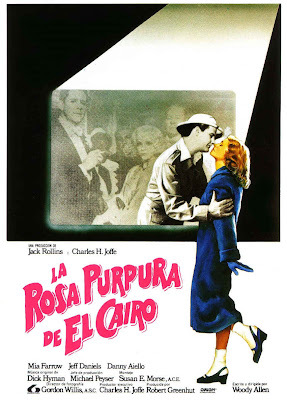 While watching the eponymous movie – a screwball comedy – one of the film’s characters (played to perfection by Jeff Daniels) literally jumps out of the screen and run away with her. What follows is a series of immensely hilarious sequences, with the film’s other characters not being able to continue with their acts, while the movie’s director, producer and actors running helter-skelter to get hold of the renegade character. However, despite all the funny gags, a deep sense of melancholia pervades through the film, made all the more sad when Cecelia is forced to crash-land back to her glum existence after the guy who actually played the character (played again by Jeff Daniels) does a neat double cross on her in order to rescue his career. Though it falls short in terms of the intellectual content vis-à-vis Woody’s other renowned works, this bittersweet fantasy-comedy with its whimsical content remains an important part of his vaunted cannon nonetheless. Why is it that all Aliens/Gods in Thor are white Caucasian hunks who speak English with American accents and always make their landings on earth somewhere in the US? Even if I understand these given that it is an American movie based on an American comic-strip, there’s something more profound that I failed to appreciate. Why is it that, despite being so advanced vis-à-vis the human race in terms of knowledge and ability, the Asgard-s still rely on horses for day-to-day conveyance, and haven’t managed to get monarchy and dictatorship abolished? To cut a long story short, I found the movie as brainless as the characters that populate it. 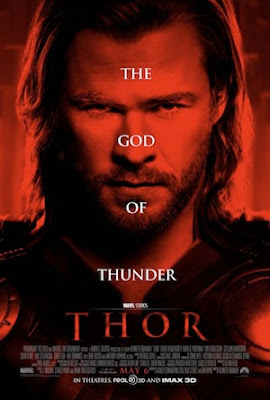 Thor, an arrogant hammer-wielding alien/god, and heir to the Asgard throne, is abolished to the earth by his ageing father, where he befriends a pretty astrophysicist (who, as Rogert Ebert has pointed out, is more of a storm-chaser & UFO-hunter), while also fights his father’s enemy (why wasn’t I surprised that Thor’s younger brother turns out to be the villain?). The film is filled with clichéd dialogues, juvenile sense of humour, predictable plot, and utterly unimaginative action sequences that are not worth watching – leave alone in 3D. It was also really perplexing to see such accomplished actors like Anthony Hopkins, Natalie Portman and Stellan Skarsgard agreeing to play such wafer-thin, one-dimensional characters… perhaps the pay packets were really good.